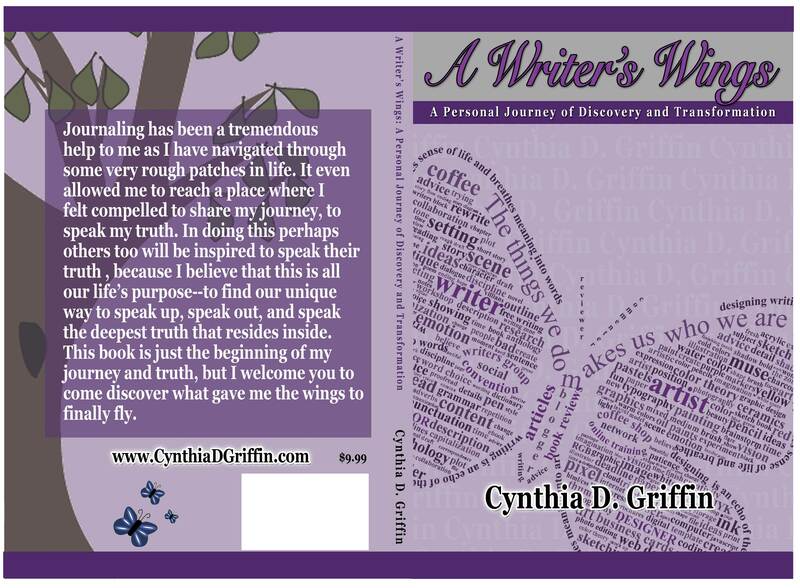 A Writer’s Wings Cover Reveal! I’ve been keeping mostly to myself this summer because it’s been an especially busy one this year. I’ve been packing to get ready for our move, which should happen in a few weeks. We are in closing stages now on our home in Florida. I’ve also been doing a lot of self-reflection work to help clear myself to be more beneficial as a Reiki healer and to be a more balanced person over all. The other major project I’ve been working on is a book that is near and dear to my heart, mostly because it is a large part of my heart–it is one of my very special journals that I’ve been writing in for quite some time. A Writer’s Wings took years to write, but it was done little bits at a time as any journal is written. I spent a large part of April, May, and June of this year transferring my journal entries into a digital file. Then I spent July working on formatting, layout, and illustrations to place in the book to make it a little more eye-catching. I’ve been working on the cover off and on since April, but it’s only been the last week I’ve buckled down to get it finished. I have a 11×17 image of the butterfly you see across the front of the cover hanging over my desk in my office. I created the graphic years ago, because I decided I needed something very personal and meaningful to inspire me as I wrote. In fact, as I was brainstorming cover ideas for Writer’s Wings I kept looking up at that image over my desk. After a while a light came on in my befuddled brain and I realized the image was exactly what I needed for the cover, since Writer’s Wings is all about inspiration.